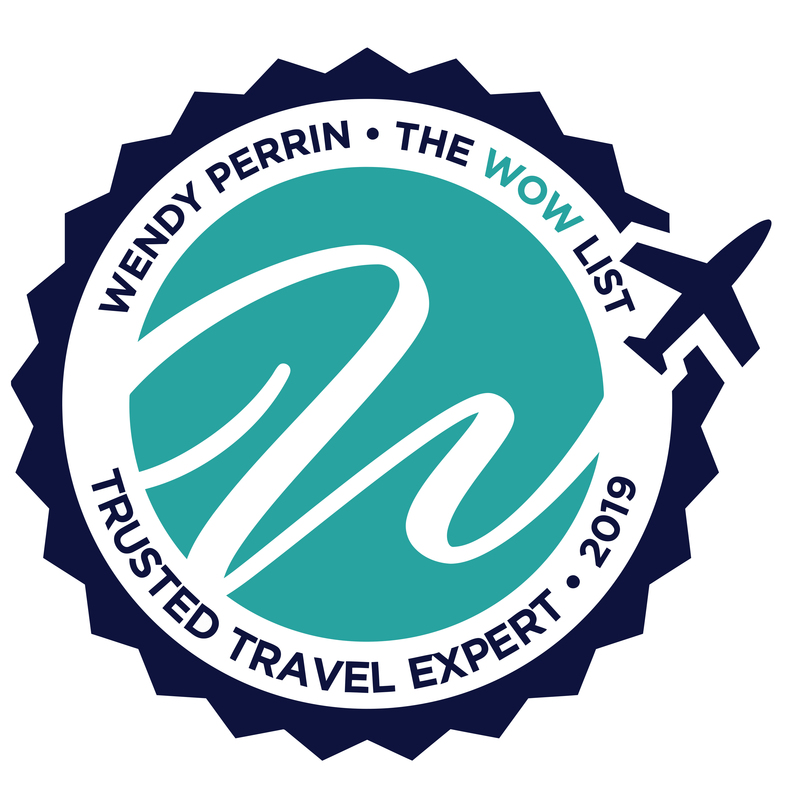 Natalie Ewing is on Wendy’s WOW List of Trusted Travel Experts for her expertise and connections in Costa Rica. The reviews below are from real travelers who’ve taken trips that were arranged by Natalie and monitored by Wendy. Don’t miss Michael and Natalie’s Insider’s Guide to Costa Rica. They truly made it a stress free vacation for the 8 of us that traveled together. Natalie’s team did a marvelous job in arranging our 2 week trip to Costa Rica. All of the accommodations were superb. They arranged several excursions for us that were well done, informative and fun. All of the in-country travel arrangements came off without a hitch. They truly made it a stress free vacation for the 8 of us that traveled together. Our travel specialist, Priscilla Jimenez, worked with us from the beginning to provide a customized trip. Throughout the planning process she provided great information and tweaked our trip to meet the needs of the group. She planned activities and locations that we wouldn’t have known about if we planned our own trip. The daily emails/letters we received during the trip about scheduled activities or moves were greatly appreciated. We would recommend Natalie to any of our friends planning on traveling to Costa Rica. All we had to do was sit back and enjoy! Traveling as a family of six is not easy! We have four children between the ages of 8 and 15…each more adventurous than the next. We needed a vacation that would keep them entertained, but also allows us the leisure time we really needed. Natalie and her team were the perfect fit. They put together a perfectly balanced vacation. Everyone was happy! Based on the feedback we provided, they suggested we spend our week in two areas – Arenal (volcano and rainforest) and Manuel Antonio (beach). In Arenal, we swam in thermal hot springs, zip lined through the rainforest, walked the hanging bridges of the rainforest canopy and went white water rafting. In Manuel Antonio, we spent quality time at the beach, surfing, boogie boarding and relaxing. Costa Rica Expeditions arranged all of our travel details – flights, hotels, activities, transfers to and from. Natalie and her team (Priscilla and Alberto) took care of all the details. In Arenal we stayed at the Tabacon Resort and in Manuel Antonio we stayed at Tulemar – both were great recommendations. They were always one step ahead of us, ensuring that we were ready for our next days’ adventures. Any questions or concerns we had were addressed right away. They really went out of their way to make sure our vacation was memorable. All we had to do was sit back and enjoy! It was a fabulous family vacation. I would highly recommend Natalie and her team. Natalie and Priscilla on her team were amazing. She made numerous adjustments to the itinerary for us as our plans kept changing during the planning stage. During the trip, the team was available and responsive when we had questions. We asked for a charter plane to take us from Playa Samara to Arenal so that we could avoid the long travel time in a car – what a great way to see the country! And the cost was extremely reasonable. The vendors for the activities were all first-rate and in a country where there are no governmental controls over the safety of zip lines, it’s nice to know that we were in the hands of the best! A trip that exceeded all expectations! Natalie Ewing and Priscella on her team gave us the trip of a lifetime! I was planning a trip for 10 people and Costa Rica Expeditions came to the rescue. The 6 adults and 4 children had a trip that exceeded all expectations! Every detail was taken care of. I would use Natalie again and I’m only sad that they cannot plan a trip to other countries for me! Both Natalie and Priscilla were wonderful to work with. This was our first trip to Costa Rica, and everything was planned perfectly. From airport transfers to car rentals (with pre-loaded destinations) to wonderful family friendly hotels and resorts…there was nothing they didn’t think of. All of our excursions were amazing, as were all of the restaurant recommendations. When we go back to Costa Rica in the future, we will absolutely use them again. They were the best!!!! I plan on referring them to any and all friends we have headed to Costa Rica. They planned a perfect family vacation for us, all while staying within our budget. Thank you so much for the referral! Pura Vida!!! Michael Kaye, Natalie Ewing, and their team use the best guides and small groups. We really appreciated that – it makes all the difference. We vacationed during the high season (early March 2016) but made our travels plans late (January), but their team was able to accommodate us pretty well. The flora and fauna of the hotel Monteverde Lodge & Gardens were stunning. I sort of expected that, but it was even nicer than I had expected. In Arenal, our top hotel choices were booked and stayed at El Silencio del Campo – this was even more amazing! If you want to have the assurance that everything will work out well and not worry, use Michael Kaye, Natalie Ewing, and their team. Our trip to Costa Rica planned through Costa Rica Expeditions was perfect. Every aspect of the trip was amazing and impeccably planned. The coordination of every piece of the trip was flawless. Every driver and guide was where they were supposed to be at the exact time they were supposed to be there. I never had a single concern about our activities or transfers as they were all just as my trip planner said they would be. We loved everything we did and everyone we met along the way. While all of the staff and guides were great, I have to give a special acknowledgement to two members of the team who really went above and beyond to make our trip even more special: our transfer guide Eva who travelled with us from San Jose to Monteverde and our river guide Leonardo at the Tortuga Lodge. Both Eva and Leo’s knowledge and enthusiasm was contagious and we will always hold the days we spent with them among our fondest memories. We plan to visit Costa Rica again in the very near future and we will definitely use Costa Rica Expeditions. By far exceeded my service expectations. We’ve traveled with many different travel experts and Costa Rica Expeditions by far exceeded my service expectations. We had a compact, yet very complicated travel itinerary involving numerous activities on a tight timeline combined with private light charters to get us quickly from one destination to the next. They listened closely to our requests and made things happen from private zip-line tours to last minute requests for a bike tour around Arenal volcano. From the planning process to execution, Costa Rica Expeditions was incredibly thorough with outstanding communication and service, making it a seamless experience for us and allowing us to thoroughly enjoy our vacation. It clearly is a team effort at Costa Rica Expeditions, with members closely monitoring every aspect of our trip. They certainly set the bar high for other travel experts! WOW truly sums up our experience with Michael Kaye and Natalie Ewing of Costa Rica Expeditions in planning and enjoying our recent two week trip to Costa Rica. They not only met the very high standards required to get a spot on Wendy’s list (and we know how high those standards are having planned wonderful trips with several of her experts)—they managed to exceed them. (As they may well attest, I am not an easy client, so this is really very high praise!) At the planning stage, Natalie did a masterful job in putting together an itinerary in which my husband and I were able to see the vast variety of wildlife and nature Costa Rica offers and experience the very special lodges she suggested—all specifically tailored to our interests and requests. Two things were particularly noteworthy about the planning process. First, I asked about an accommodation I had read about that CRE had not used before. Before booking us into it, Natalie travelled there herself to check it out and make sure it was a place that CRE could stand behind. I have never had a travel agent do that before! Second, Natalie took the time to have detailed discussions with me and was able to communicate to me exactly what the nature of the accommodations and the activities were in each place so I could make knowledgeable choices. All expectations were perfectly managed. Once we arrived, the trip was flawless. CRE’s special touches and relationships were apparent everywhere we went—from insuring that we were assigned to rooms with wonderful views, to surprising us with meals planned especially for us in beautiful locations, to stocking our room with food and wine. In fact, every lodge knew our food preferences before we even arrived! The guides and drivers CRE provided were superb and truly taught us to see and appreciate nature and wildlife in new ways. One thing that was very special was the opportunity to participate in a program sponsored by CRE in a local village assisting the children there with English language skills. The kids were incredible! From the beginning to the end, CRE was instantly available to answer any questions, provide for any needs, or just check in to make sure everything was OK. By the end of the trip, we viewed Michael and Natalie as friends and we have continued to keep in touch. We recommend them highly. Oh my gosh, what a wonderful experience of Costa Rica we had from Costa Rica Expeditions! Our March 2011 trip was only partially an expedition to celebrate our 25th wedding anniversary. We also went to visit our daughter who was studying for a semester at the Universidad Nacional in Heredia. Although Heredia, a suburb of San José, was not on most people’s travel itinerary, CRE secured us two WONDERFUL hotels there for the beginning and end of our trip. They tailored our program to allow us to be totally self-directed while with our daughter for two weekends. In between, when we explored the country at large for almost two weeks, they put together a fantastic variety of activities—with individualized transportation—in key parts of Costa Rica, giving us a sense of this beautiful and friendly country and its people. We rafted on the Pacuare River, observed a banana plantation, visited Tortuguero National Park (yes, the Tortuga Lodge alone is worth the visit), tutored kids in English in a local school, hiked in the Monteverde cloud forest, zip-lined across amazing landscapes, traversed the hanging bridges in the Arenal area, and luxuriated at an ecolodge on the Osa peninsula. I would not hesitate to recommend CRE to anyone who wants a truly personalized and in-person experience of Costa Rica! A special shout-out to all the guides and drivers who shared their knowledge, experience and love of their homeland with us. My wife and I have had two trips arranged by Costa Rica Expeditions and are planning a third. And probably more. They do a very good job of matching what we want to do with the locations to do them. They are good at making sure we time our trip to our “list” of what we want to see and do. The drivers have been wonderful. Not only are the locations where we stay wonderful, but the people there have become friends such that when we return it is not just for the sights but for the people.